Hello, we are Mike and Mary. We established The German Bakery in Liverpool in 2006 with just three stockists, who are still with us today!  We are experts in rye and wheat sourdough breads, as well as making a host of other special breads. We started small and while we are still a family-run bakery, we have grown to become one of Liverpool’s best loved bakers. Head Baker Mike has been baking sourdough bread using traditional methods for over 30 years, since his days as an apprentice in a small bakery in Germany. In those days a wood fired oven was used and the apples for the tray baked cakes would be peeled and sliced by hand. In 2007, encouraged by the popularity of our bread, we moved our tiny operation to a larger unit on an industrial estate near Speke Hall in Liverpool. Since then we are delighted to say that we have been applying traditional methods to our baking for an increasing number of Merseyside customers. We have developed an extensive range of fifteen delicious loaves, as well as our speciality breads such as pretzels. Our breads suit a wide range of tastes and requirements, including wheat free. The majority of our breads are vegan. Our fully flavoured rye loaves range from the very light end of the spectrum, which are fantastic for breakfast, to the heavier rye breads which combine beautifully with strong flavours like salmon and strong cheeses, and are ideal for a hearty Ploughman’s. You can buy our breads directly from any of the wonderful shops that stock our loaves. If you are a business and would like to stock our loaves, please get in touch with us here.